This cool Star Wars Yoda necklace is now available at ThinkGeek. 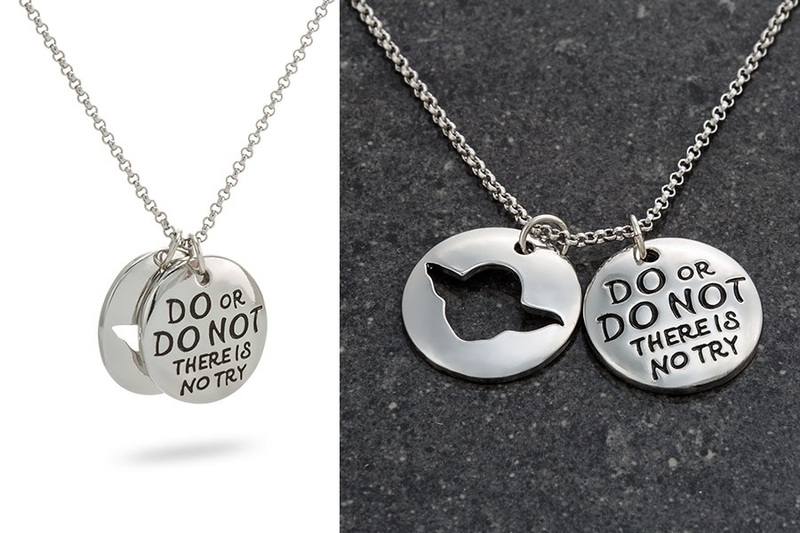 The silver-tone necklace features two pendants – the first features a cut-out silhouette of Yoda, while the second features the classic Jedi proverb – ‘Do Or Do Not, There Is No Try’. Yoda’s size was never an issue – he was in complete oneness with the Force. An X-Wing stuck in the muddy swamp didn’t even make the 2-feet, 2-inch tall Jedi Master break a sweat. However, for a pendant that you want to wear every day, size does matter. Even Timmy knows this. 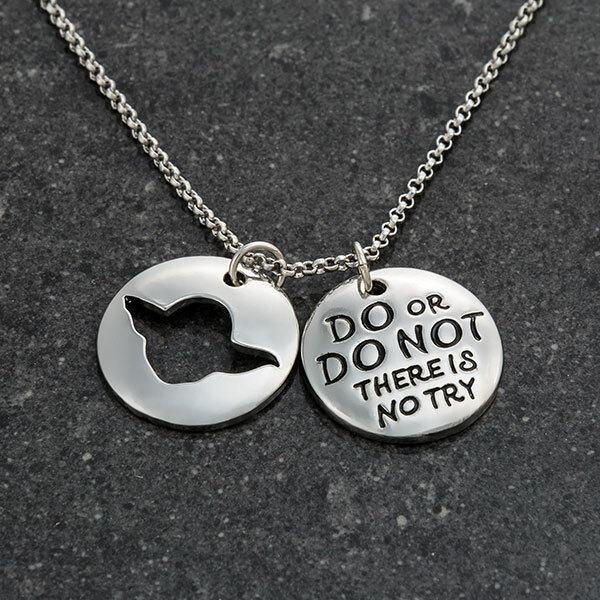 That’s why we offer you the Star Wars Yoda Stacked Pendants Necklace. The 3/4″ discs go perfect with your Rebel uniform, and the cutout of Yoda’s silhouette lets you see his most famous proverb: “Do, or do not. 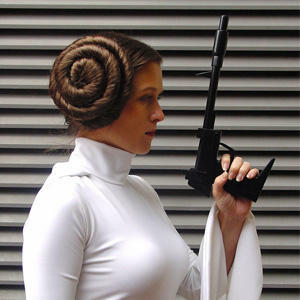 There is no try.” That one hits us right in the feels every time. 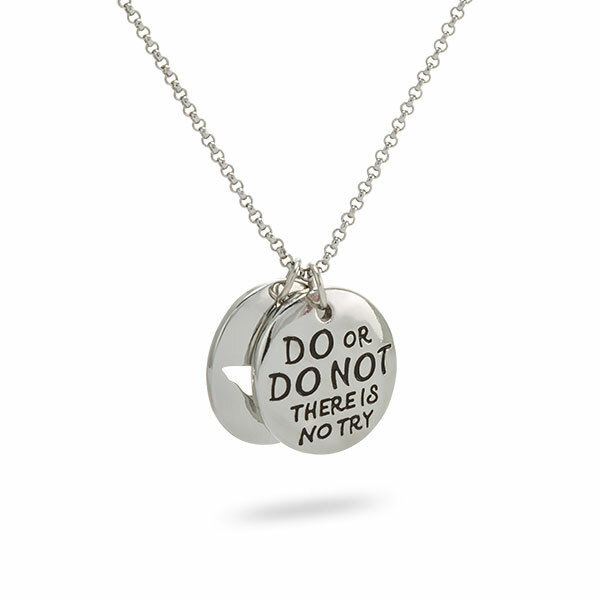 The necklace is priced at US$24.99 each – ThinkGeek can ship internationally, which is great!